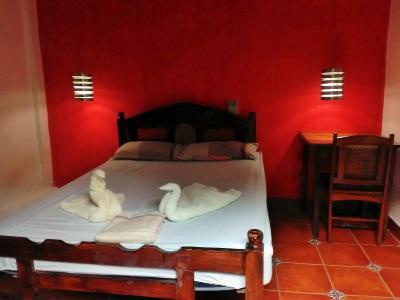 Lock in a great price for Hostal Casa Ivana – rated 8.7 by recent guests! Great price, great location, welcoming and friendly staff. 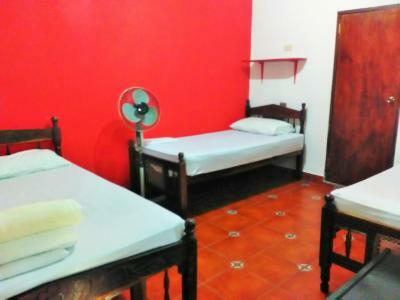 A very comfortable hostal located very convenient to the city center. Staff was really nice and helpful. 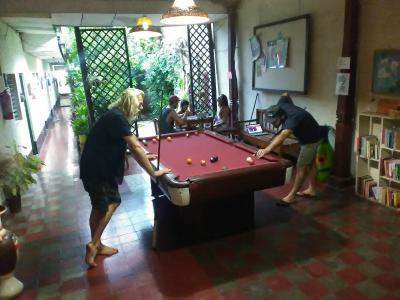 Atmosphere very relaxed, definitely not a party hostel but a great value for money. Room was not big but clean, and the shower was hot :)! 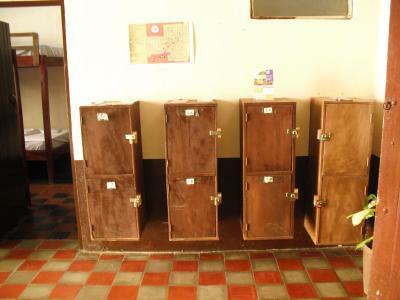 The grounds and rooms were kept very clean. Good kitchen. Very helpful staff. 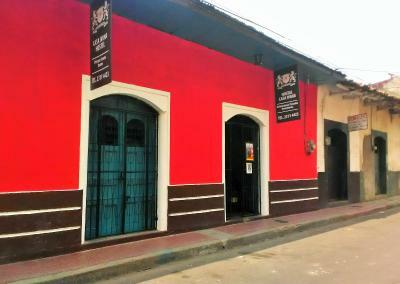 This place is the best in leon. After my flight i was irritable, and just overall unhappy, but after i entered here i felt right at home. The staff was warm and welcoming. Not to mention the entertainment. 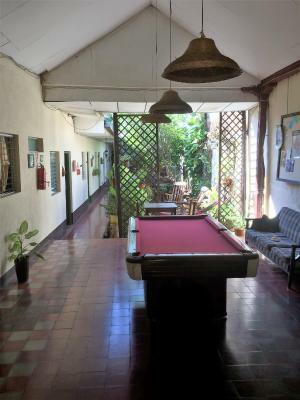 They have a pool table, board games, beer, and a beautiful garden. 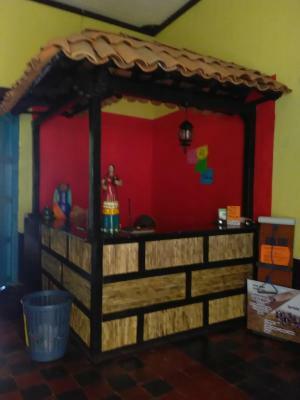 I would reccomend this place to anyone going to visit leon. 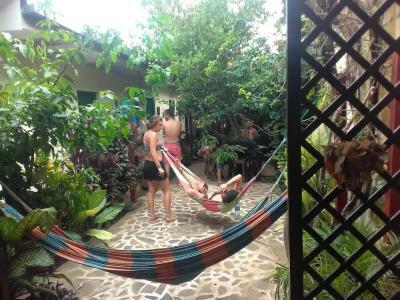 Hostal Ivana was the best place I stayed in Nicaragua! 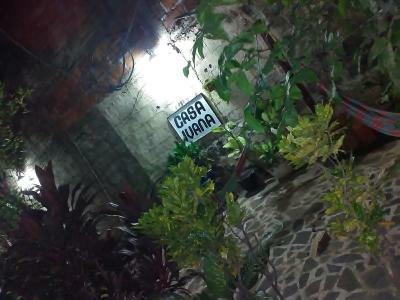 It was so centrally located, and Ivana was incredibly sweet and helpful. She is very passionate about her job and wants to help with everything! She made my trip to Leon so amazing. The facilities were great and the prices were greater! Would definitely stay again! Good location. Good value for money. Great quality wifi. 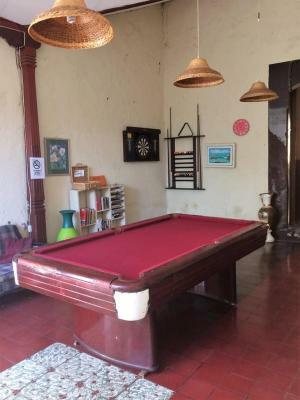 Good kitchen and common areas with pool table. 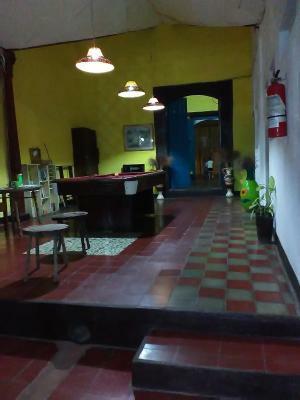 Hostal Casa Ivana is located in the heart of León, where you will find plenty of shops and restaurants. The historic center featuring the Cathedral of Leon is ony 1,150 feet away. Free WiFi access is available. 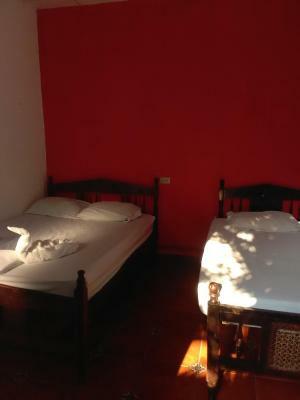 Each room has a window that opens and all rooms are accessible to the garden. Extras include bed linen and a fan. 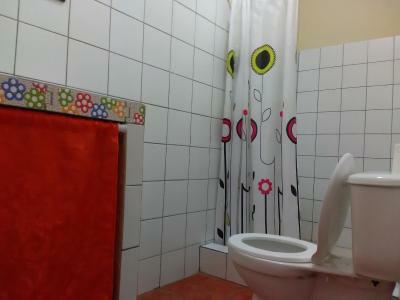 All private rooms have an En-suite Bathroom with a shower. 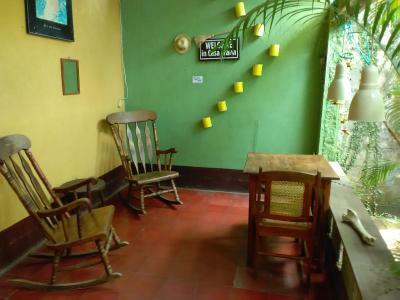 At Hostal Casa Ivana you will find a 24-hour front desk, a terrace and a bar. Other facilities offered at the property include a shared lounge, a tour desk and luggage storage. Augusto Cesar Sandino International Airport is 62 mi away. 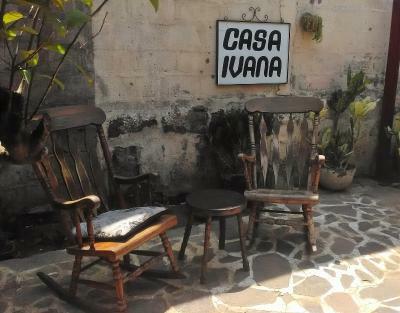 When would you like to stay at Hostal Casa Ivana? 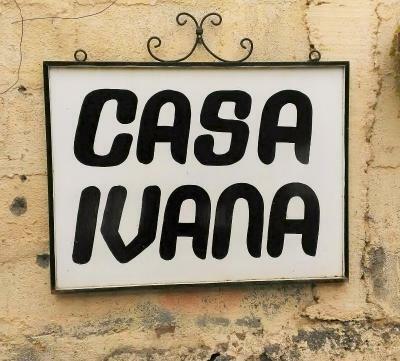 House Rules Hostal Casa Ivana takes special requests – add in the next step! 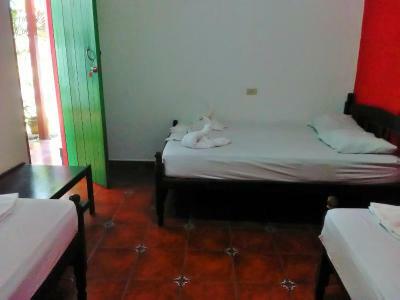 Hostal Casa Ivana accepts these cards and reserves the right to temporarily hold an amount prior to arrival. 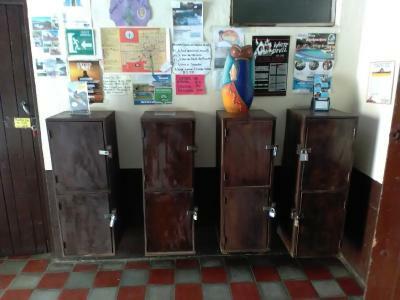 We would have liked a water dispenser to refill water bottle. 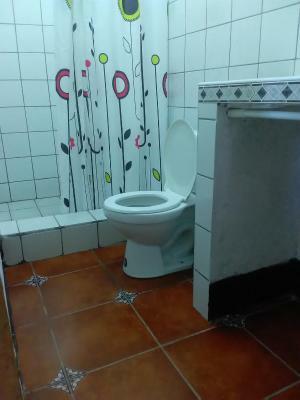 Hot shower, good clean kitchen. Nice staff and host. 5-10 mins walk to everywhere. 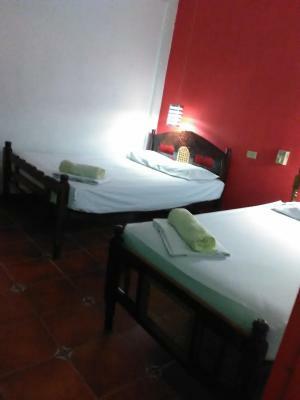 Great staff Clean rooms Hot and cold water Hammocks Well stocked kitchen Could do laundry Super close to central town Managers are super helpful and knowledgeable. Nothing to complain about at this place! 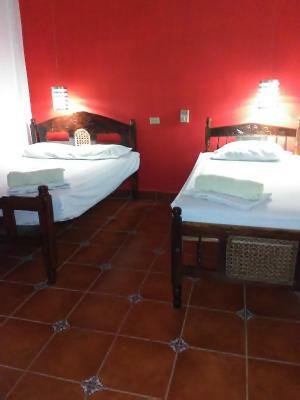 Nice hostel, five minutes stroll from the cathedral and city square/park. Stayed in a private room with private bath. Hot water shower but not super necessary in such a hot city as Leon. Has a decent kitchen with limited utensils. Staff was super nice and smiling all the time. 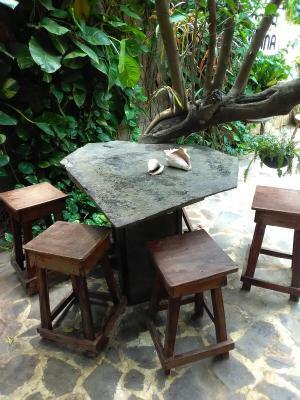 Nice areas to hangout and good wifi. This is a very central option to stay where everything you need is less than a 5-10 minute walk. I would stay here again. Rooms were hot (Leon is hot! ), even with two fans faced on us. It helps if there were musquito screens in front of the window, so that you can do them safely open at night. Friendly owner and staff. 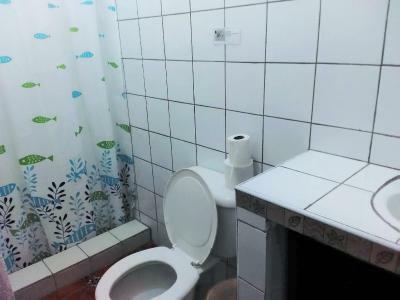 Good, clean and big room for a perfect price. 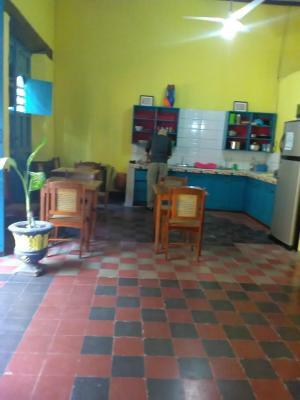 Nice and clean kitchen for use. Perfect to book tours and shuttles. 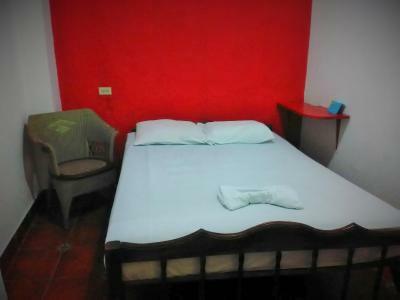 Basic room with only bed and nothing else, like most places in Nicaragua. There is a hot shower but you can't mix with cold water so it ends up being too hot. 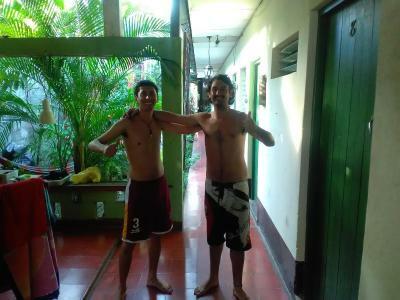 But since it was 35C outside, a cold shower was fine. Very close to city center. 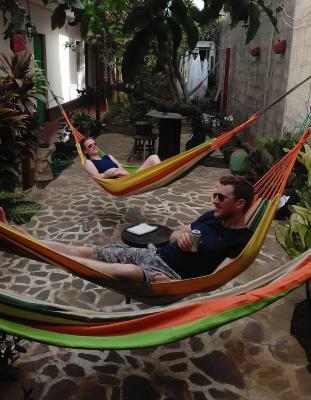 Nice patio with hammocks. Nice and helpful personnel. 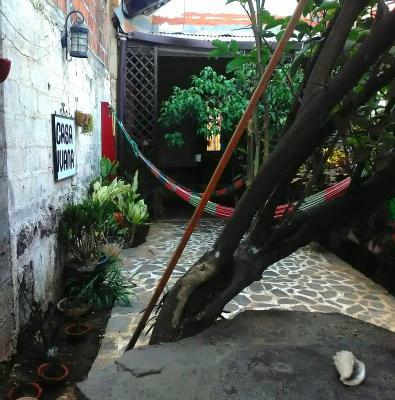 Stayed here twice, such lovely people, very clean, comfortable and quiet. It was hot in the rooms - even with the fans - so to maximize out airflow we opened the window wide, sacrificing some privacy. 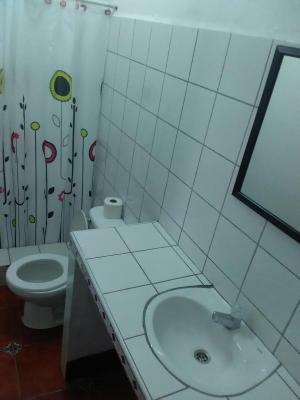 But given the hostel layout, I'm not sure how they could improve this. 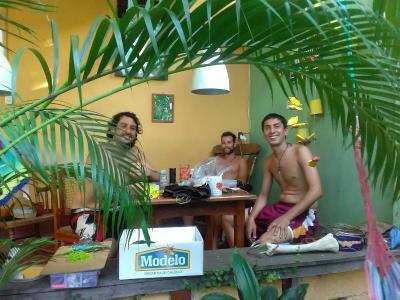 Great location, excellent and helpful staff, nice lounge área and shared kitchen! 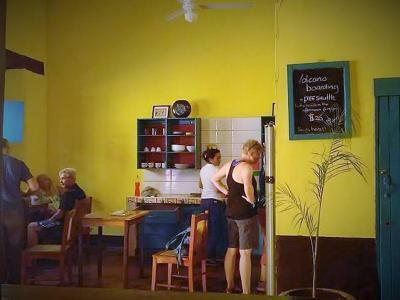 We loved chatting with the owner about he social projects he is involved with. He is a really interesting and kind person. 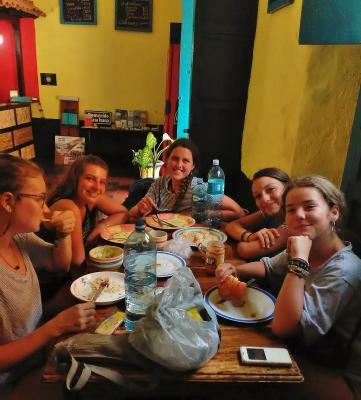 A few things needed improvement but we were happy with our stay and the staff asked us for our feedback, which was great. 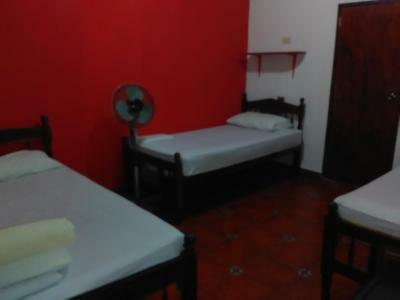 We told them that the mattress was saggy and uncomfortable, the rooms could do with fly screen so that windows can be opened to cool down the room without letting in the mosquitoes, and the kitchen needs a few more pans to avoid the peak hour queuing. Staff were very helpful and friendly and keen to learn what could be improved. Great location while not being affected by the local night life noise, and very clean.